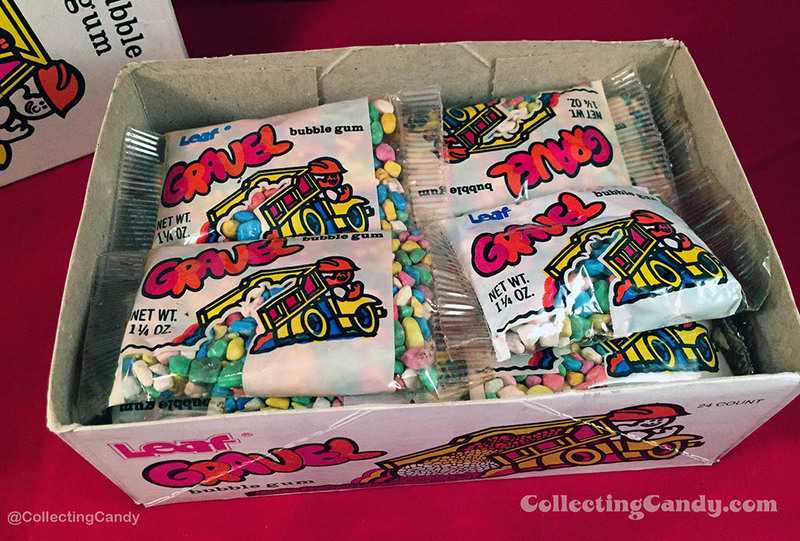 Gravel Gum must have been somewhat of a success, because it remained on shelves through the end of the decade. I’m fortunate to have a couple of different examples of the packages offered during that period. 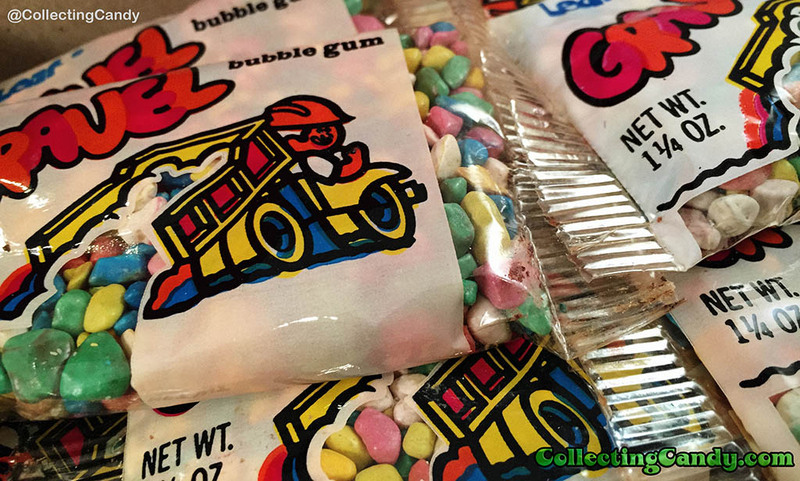 As you can see, aside from increasing the size from 1 1/4 oz packs to a 2 oz variety, not much changed in how Gravel Gum was presented to consumers. This is definitely a product I remember well, even if I was more partial to Topps’ Gold Rush at the time. 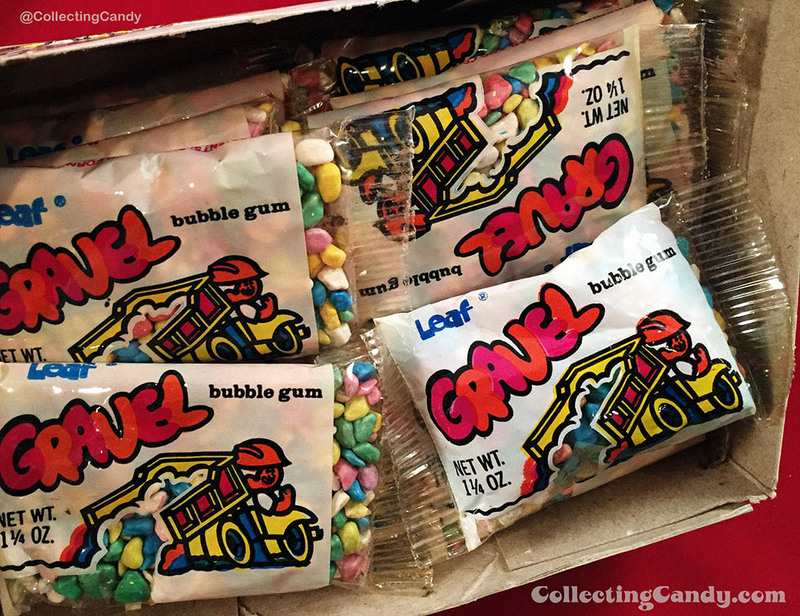 Beyond these vintage wrappers, I’m excited to share photographs of a special piece I added to my collection about a year ago – a full display box of Leaf’s Gravel Gum from 1976. You can get a much better idea of the actual product from these photos. Check ’em out! Pretty neat stuff, and a rare treat to encounter an intact display box like this – I’ve never come across another. 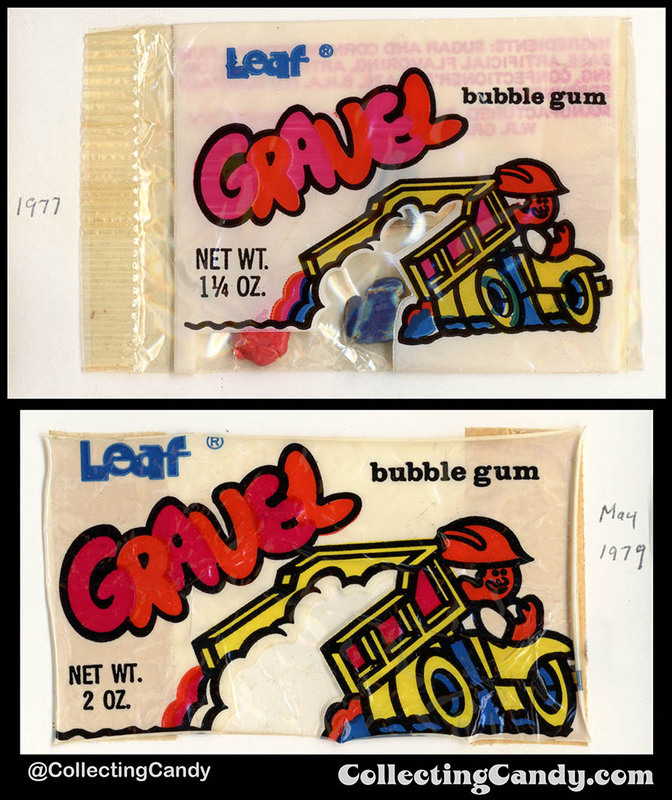 By the early 1980’s Leaf’s Gravel Gum appears to have been retired as I have not found evidence of it past 1979. 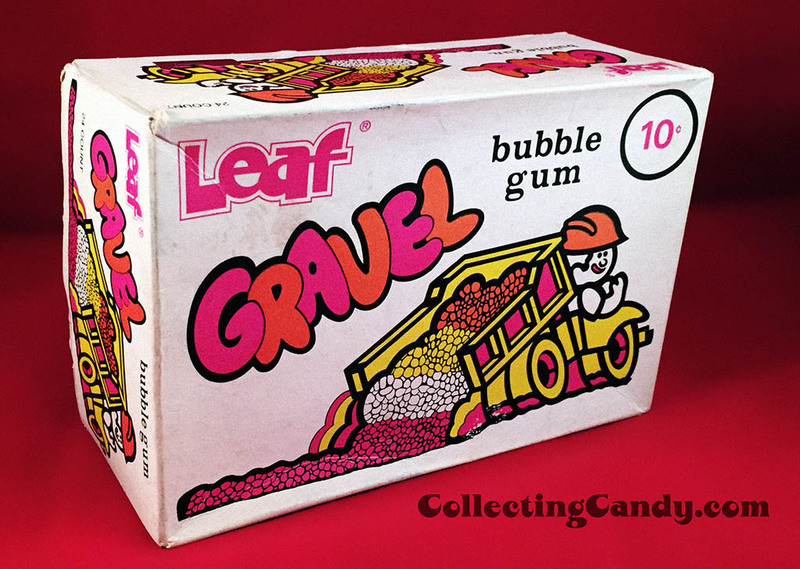 Perhaps the novelty of bubblegum shaped like gravel lost favor with the kid-consumers of the time. Or perhaps a changing of the guard (and corporate ownership of Leaf) meant that product lines were being shifted and re-evaluated using long-forgotten metrics. 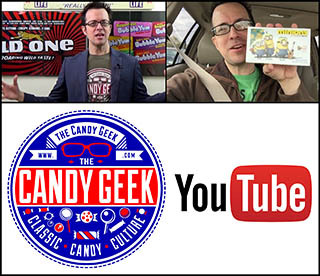 Whatever the case may be, I’m happy that I finally get to share a look at this memorable and fun product with you. 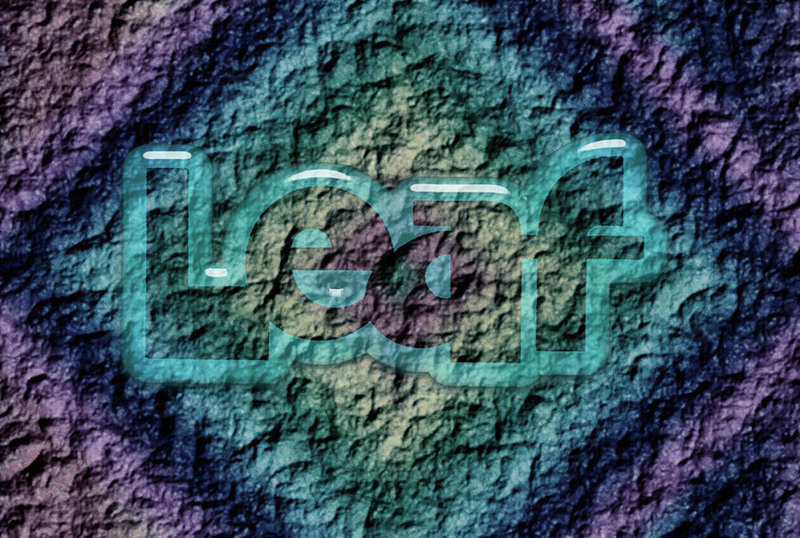 And that’s everything I’ve got on Leaf’s Gravel Bubblegum. See you next time! 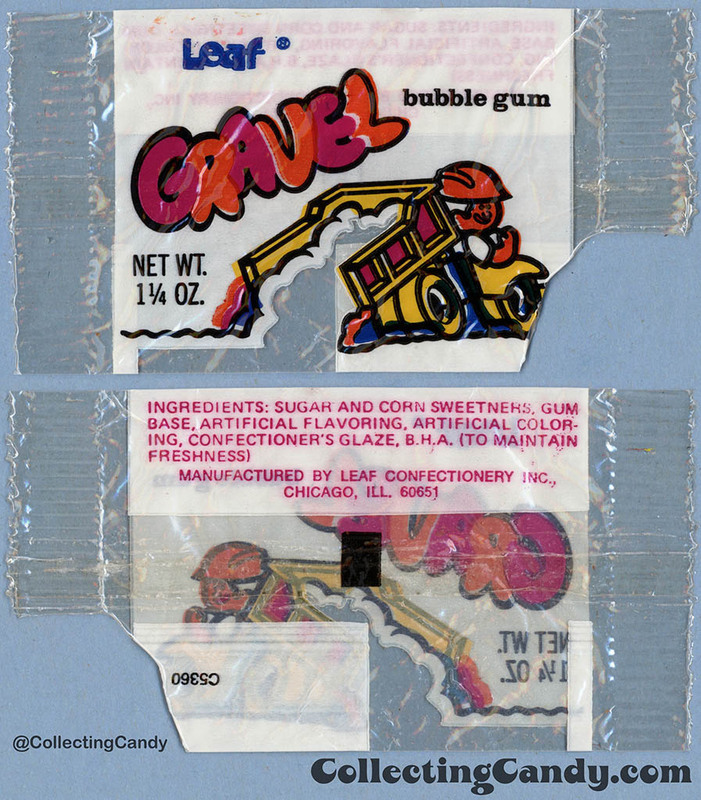 This entry was posted in 1970's, Bubble Gum, Gum and tagged bubblegum, candy collecting, candy collection, candy collector, candy wrapper collection, candy wrapper collector, collectible, collecting candy, confectionery, confections, Gold Rush, gum, Leaf, Leaf Brands, novelty, packaging, packaging design, sweets, vintage candy wrappers, wrapper. Bookmark the permalink. 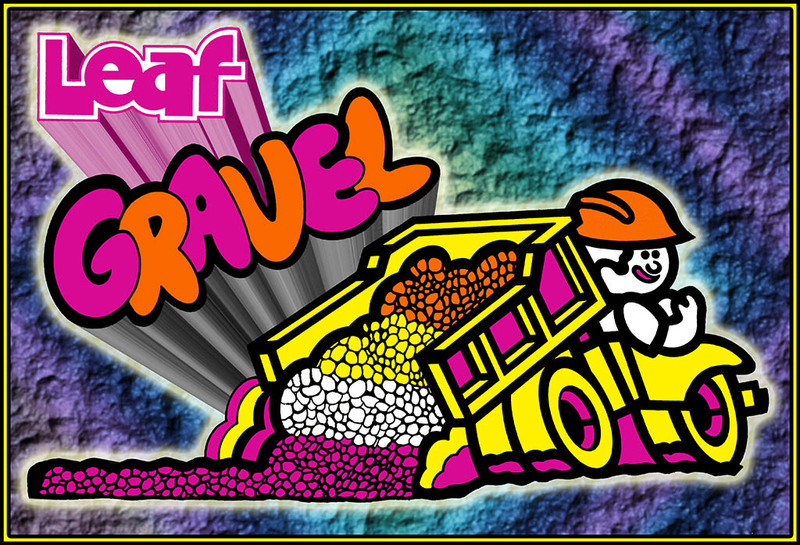 1 Response to Leaf’s “Groovy” Gravel Bubblegum from the 1970’s!